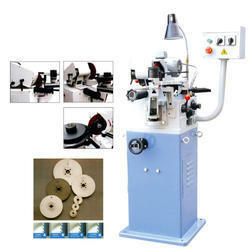 We are offering Automatic Circular Saw Blade Sharpening Machine to our clients. 3: FONG HO Circular Cold Saw Metal Cutting Machine. Manual. 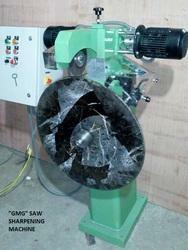 Universal sharpening machine for carbide-tipped circular saw blades up to 1300 mm Ø. For workshop-oriented sharpening of TCT circular saw blades in wood, aluminium and plastics processing, and also in metal processing. Our high speed Circular Saw blade Sharpening Machine of SOCO made in Taiwan, can slove your all the confusion releted blade sharpning for perfect pipe cutting. It gives perfect teeth sharpning.